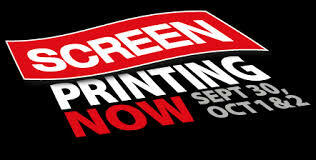 This autumn, FESPA UK Association is hosting the Screen Printing Now conference to be held at Sakurai Graphic Systems offices in Hounslow. The conference is designed to spotlight and share the very latest profit-enhancing developments in the world of screen printing, with a focus on industrial and graphic screen printing. Simon Jones, Commercial Manager, of CPS presents his thought provoking paper on ‘Cleaning Chemistry Today and in the Future’. Is it possible to create process improvements and reduce costs with ‘Greener’ technology? This entry was posted in Screen Printing and tagged Networking, Screen Printing. Bookmark the permalink.